“Imihigo” is a Kinyarwanda word, meaning the setting of goals upon which “Kwesa imihigo” (evaluation) will be conducted at a future point in time. Imihigo is founded on the old Rwandan cultural practice whereby two parties publicly committed them-selves to the achievement of a particularly demanding task. Failing to meet these commitments usually led to dishonor, not only to the participating individuals but to the community as a whole. Those who achieved their pledges became role models in the community, and their exploits were echoed in history. Imihigo also included an element of evaluation: a public ceremony was usually organized to facilitate the dissemination of outcomes of an agreed upon undertaking to the community. People’s courage, bravery and hard work set examples which others were usually encouraged to emulate. The spirit of Imihigo in the Rwandan cultural context therefore embodies the principles of setting ambitious goals that require commitment to action and personal responsibility, reciprocity of obligations and mutual respect between higher and lower ranks, higher moral values and patriotism, competition to achieve the best results and evaluation of the outcomes. 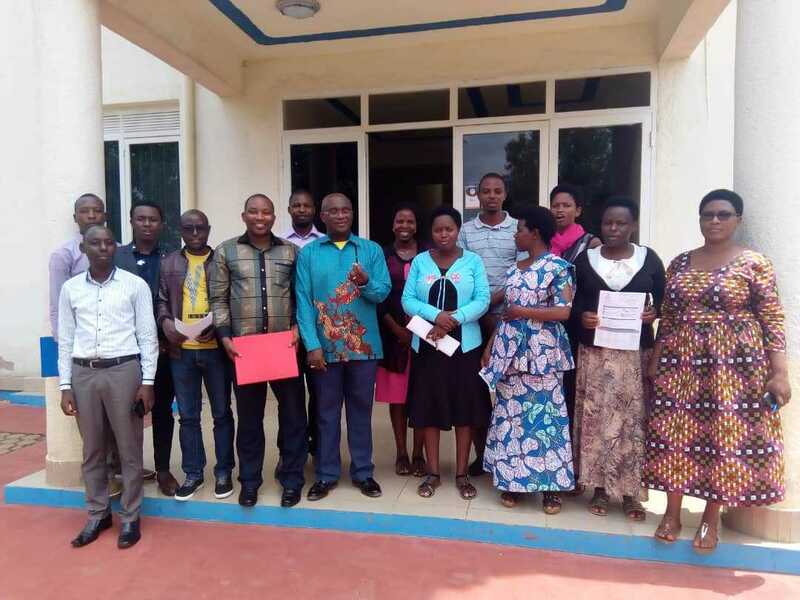 The Anglican Church of Rwanda, Shyogwe Diocese introduced Imihigo as a performance based management tool to strengthen strategic planning and management and improve service delivery in the Diocesan system. Henceforth, each year performance contracts will be signed between the Bishop and senior employees like Head of Departments, Archdeacons, Pastors, Head of Schools, etc. But also technicians and supporting staff will sign performance contracts with their superiors. These will bind respective employees to targets they set for themselves. For today, it was the heads of departments and other heads of services attached to the office of the Bishop who signed the performance contracts. Pastors and other employees will follow later in the next days.